In our last interview you chose books to help five to 10 year olds begin to learn about economics. What age range are these books for? It’s middle grade and young adult, so anything from sixth grade through 12th grade – roughly 11 to 17 year olds. So the economic concepts are a bit more sophisticated? The concepts are more sophisticated but also the content of the books beyond the economics. You start to get romance, violence, things that require a bit more maturity to handle. Let’s start with Gordon Korman’s Swindle. What is the economics content here? The youngster in this book is concerned about his family finances. His father is an inventor and an innovator who has left his regular job and they don’t have much of an income stream. Their house is going on the market; he is worried about having to move away, and he’s desperate to stay. Then he finds a rare baseball card and he realises that at auction it can go for close to $1m. He takes it to a dealer and the dealer convinces this boy and his friend that the card is not worth very much at all, and he gets just $120 for it. Later he finds out that the card was authentic and that he’s been swindled. That’s all economics in terms of the family finances and the value of the card. It’s a scarce card, so it’s worth quite a bit of money. The entertaining part and the reason I like it so much is that the boy and his friends put together a little SWAT team. It’s fabulous entertainment in terms of their antics, what they do to get the card back. It’s very, very exciting, a fun read, and a real page-turner. 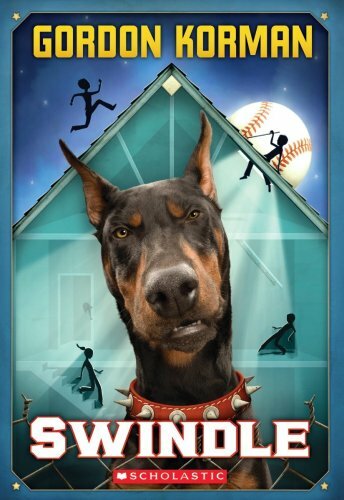 Gordon Korman is a well-known author and the story is very well done. 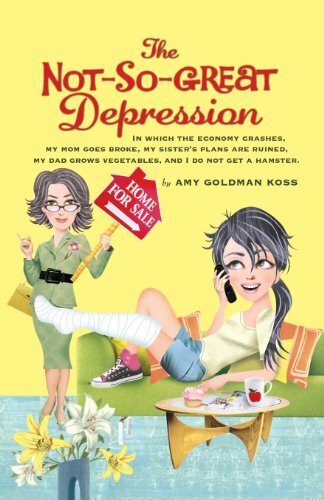 What about The Not-So-Great Depression by Amy Goldman Koss? This is also about family finances and difficulties but it’s linked to the current financial crisis. So there is a bit of an explanation about how the US got into trouble, with people taking out mortgage loans on which they could not sustain the changing interest payments, and how banks got into trouble because people weren’t paying back their mortgages. But it is a novel so it personalises it in the case of this family. It’s headed by a single mother (the parents are divorced), and she loses her job. Before, the mother was a high-powered woman who was paid a lot of money and the two girls had everything they wanted. Now, step by step, they have to give up most of what they’ve got used to, including their nice house. It talks about the adjustments that the kids have had to make from the point of view of the teenager who is telling the story. It’s very well done. It’s a lot of real economics, mixed with teen angst, a little romance and a sense of humour. I think a lot of adults – even some Nobel prize-winning economists – are still having trouble understanding exactly what happened in the financial crisis. Exactly. The book is highly relevant and very timely. It’s not an analysis of the crisis, but a couple of pages worth of some fundamental ideas, in teenager speak, of what happened – without being too much of a lecture. It’s not dry, it’s not didactic, which is why I put it in my top five. At the end the girls are a lot less privileged then? Yes, and they become closer as a result. They become closer as a family and the children also get past themselves. They’re better able to see the world around them in realistic terms. They become more open-minded, in a healthy way. Yes, it’s a pun on the Great Depression of the 1930s, but it’s not so much about the magnitude – I think the pun is on the idea that things are not so wonderful. The family is not going through a great time; it is in fact a difficult period. I think that’s the play on the word great – it’s not fun. 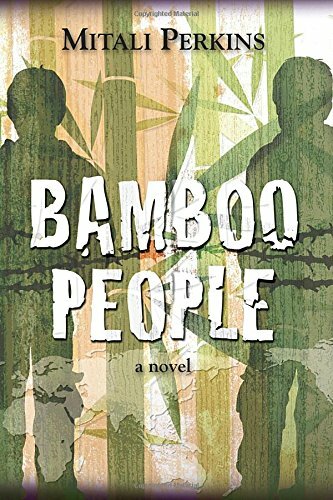 Next you’ve chosen a book called Bamboo People by Mitali Perkins, which is set in Burma/Myanmar. This one is quite different from the first two – there is nothing about family finances. The main concepts are forced labour, specifically in the military in Myanmar, and also child labour, child education and the economics of conflict. It’s all wrapped up in a story about a country that most of us, even adults, don’t know very much about. The author did quite a bit of research and she did interviews. She’s got some insights so that anyone can learn a bit more about what is going on in Myanmar and why it is so difficult for people to maintain their wellbeing there. The two main characters are both boys, young teenagers, and one is drafted. He’s forced into the military – he’d rather be in school. The other boy is living in the jungle; he is a rebel fighter. It talks about how they meet and how their lives interact. They’re tough topics but it’s very informative if you don’t know much about Myanmar. It’s told from a child’s point of view, so even though it’s serious the novel is still for young people. It’s not too gruesome or too depressing and the ending is hopeful. 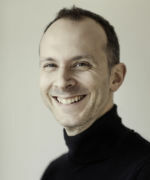 Is the economics of conflict a big area that economists study? Yes, in fact the World Bank is publishing its World Development Report this year on conflict, ie a whole book about the economics of conflict, as well as the social impact. So it’s very timely. Conflict is really development in reverse – progress poor countries make towards economic development slows down or is lost when there’s civil war and it causes a lot of economic hardship as well as social hardship for people. Let’s talk about The Body at the Tower by YS Lee. 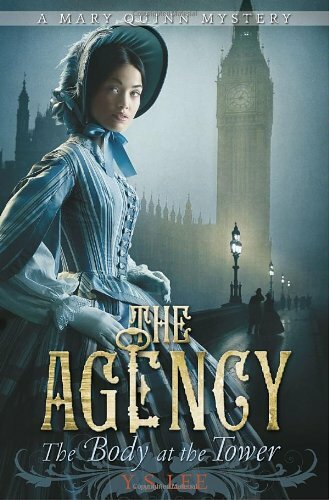 It also sounds a good mystery, very atmospheric, involving the clock tower of the houses of Parliament. But tell me more about the economics. The three main ideas are the poverty, discrimination and profit. The whole crime revolves around profit. But in Victorian times women weren’t able to get this kind of job. No, and the author notes that. She says this idea of a school for female spies is utterly make-believe because there was no such thing. Women at the time had no rights whatsoever. Finally you’ve chosen The Year Money Grew on Trees by Aaron Hawkins. We’re always told that money doesn’t grow on trees, but in this book it does. 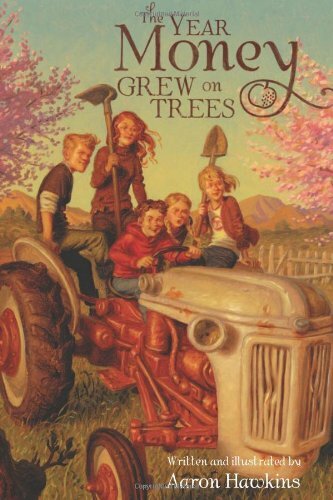 The main character is a boy and he’s got some siblings and cousins whom he recruits into helping him get an apple orchard ready for harvest. It’s not his orchard; it belongs to their cranky next-door neighbour, and she says she will let him have it if he can produce a harvest and sell it for a certain amount of money. He’s sucked into this deal and he realises quickly that he doesn’t know the first thing about pruning trees, or harvesting apples. It’s this whole adventure about how to grow apples. There’s a lot of humour in the book, which is one of the two main reasons I liked it so much. But it’s also very informative about what it takes to grow apples. The economics here is about the natural resources but also about the marketing of the apples. There’s also a whole chapter where the kids are trying to decide how to sell the apples, where to sell them and how much to sell them for. There’s another chapter about the cost of all the inputs, how they’re racking up this charge account and it’s all being charged to the father. So there’s a ton of economics involved but it’s another very entertaining book. There is quite a bit of that, including a technical drawing. This is one book you’ll want to read for sure.